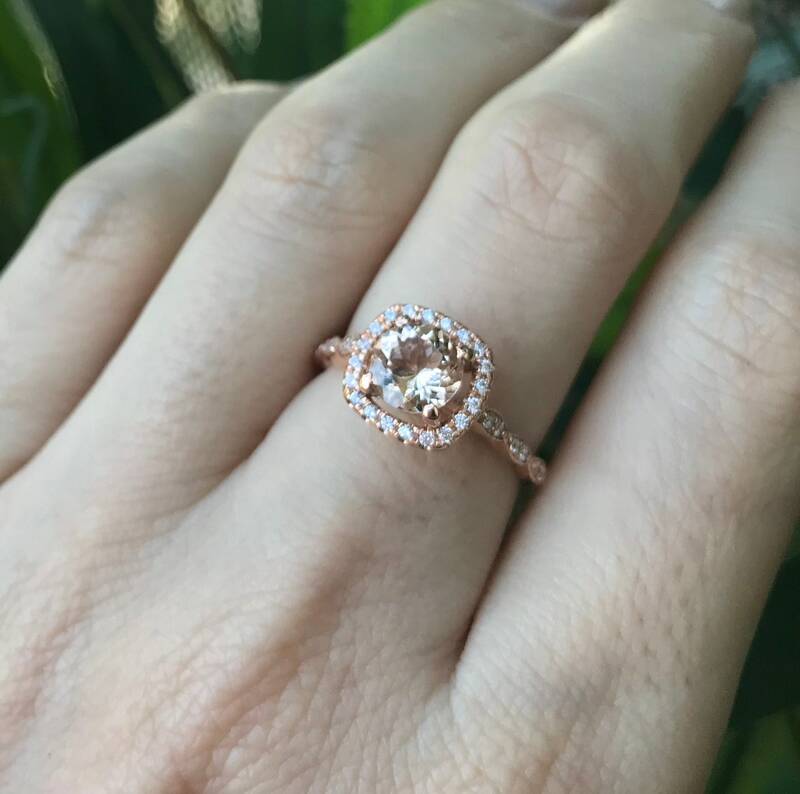 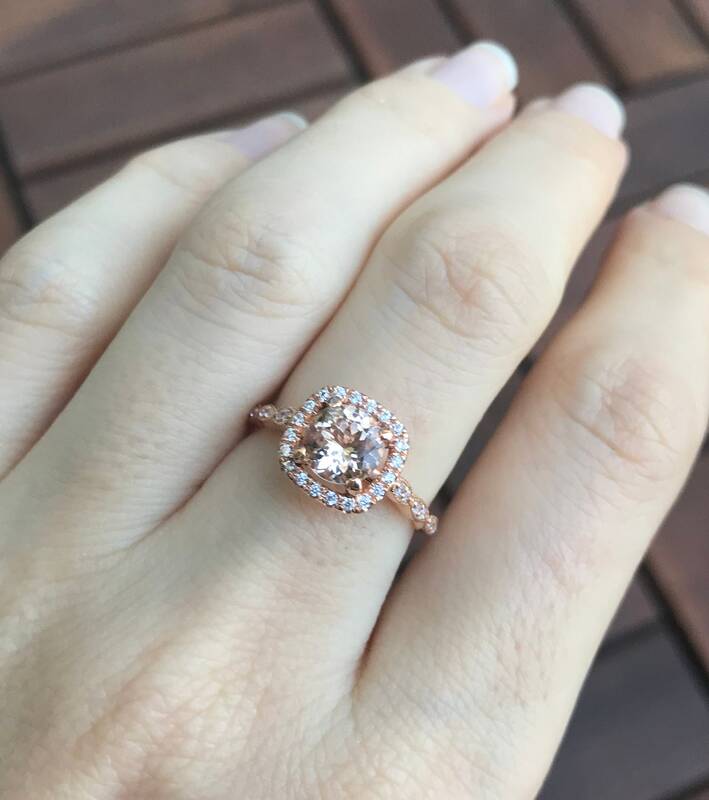 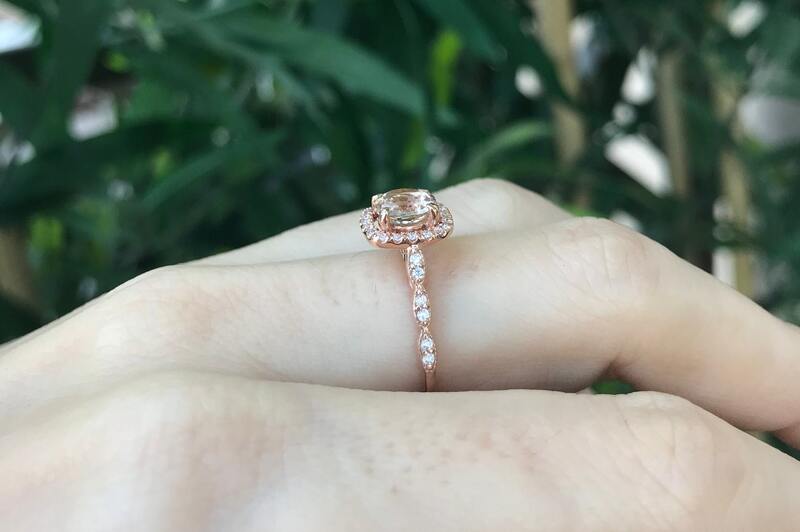 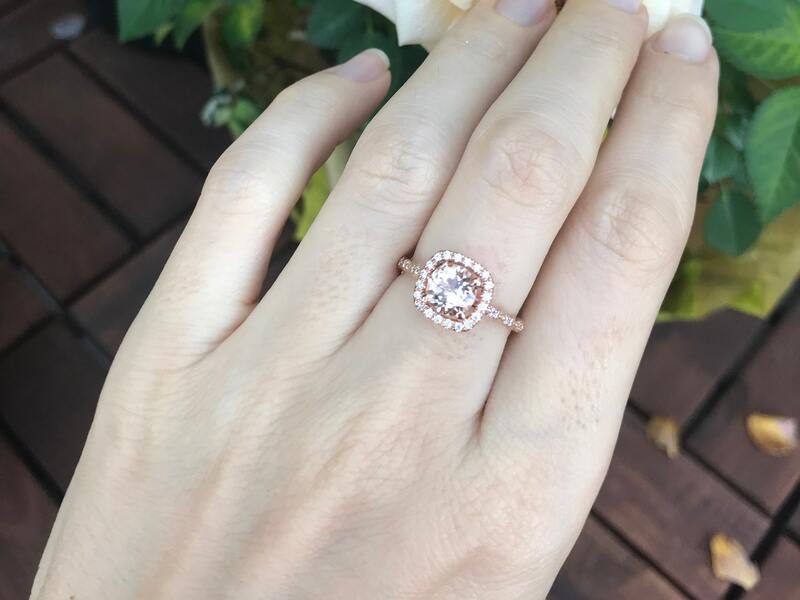 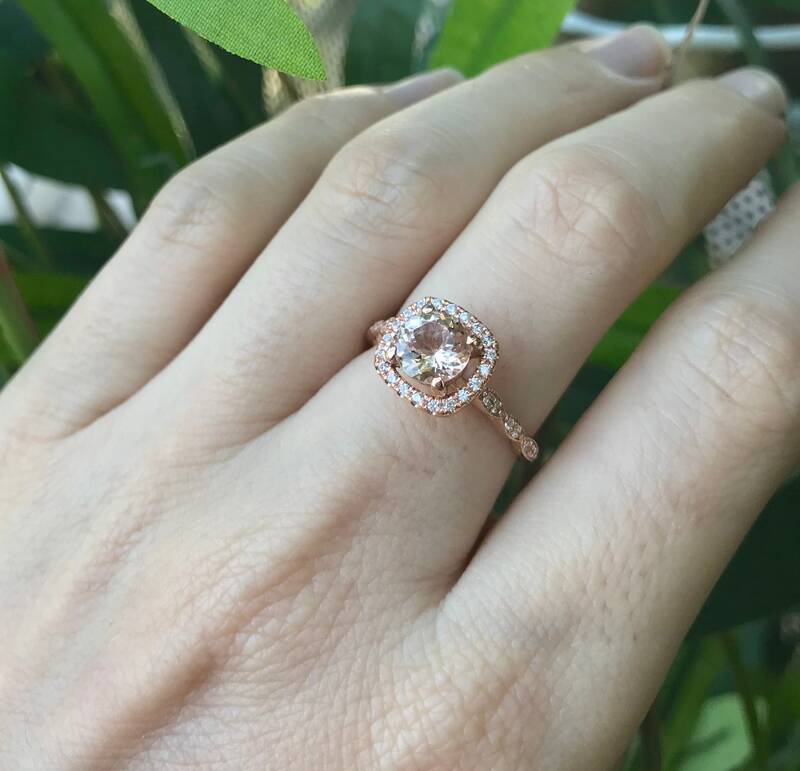 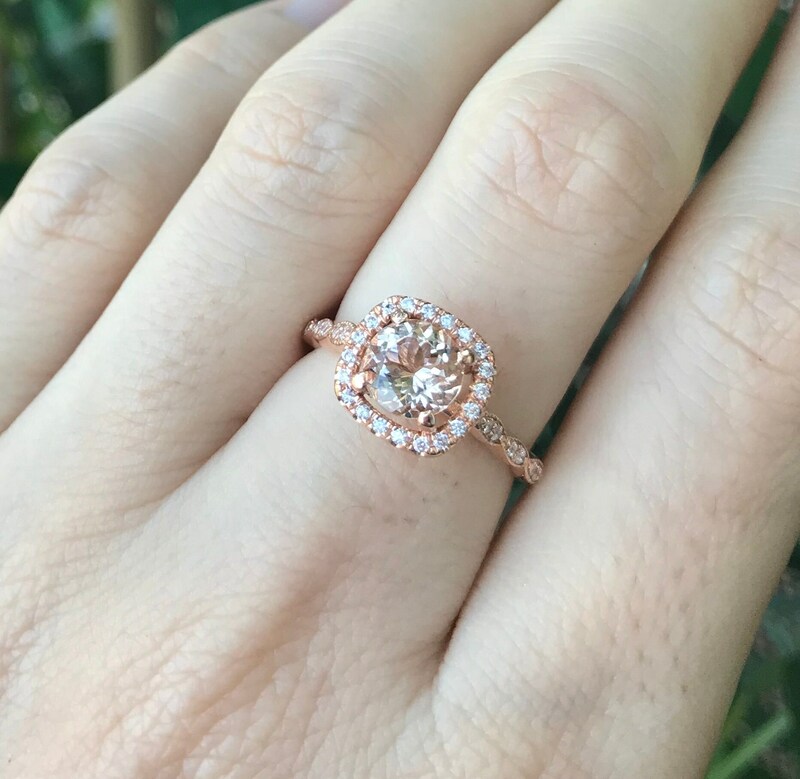 A square halo setting featuring a genuine flawless shimmery round-shaped faceted Morganite handcrafted in solid 14k rose gold featuring cubic zirconia accent which continue half-way along the band. 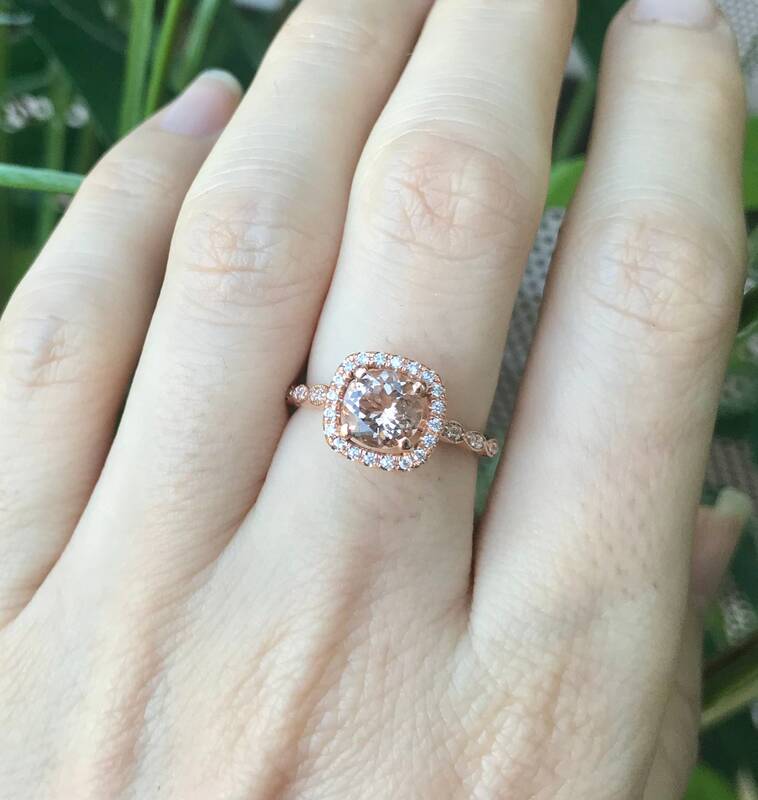 This dainty lightweight morganite ring makes a lovely engagement/promise/anniversary ring. 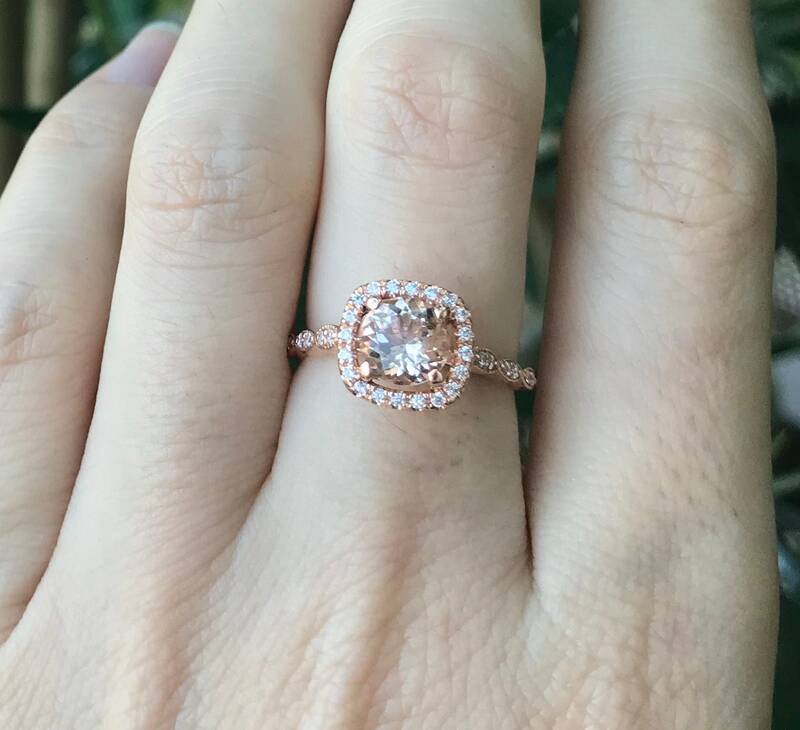 Wrapped in a Box ready for gift giving. 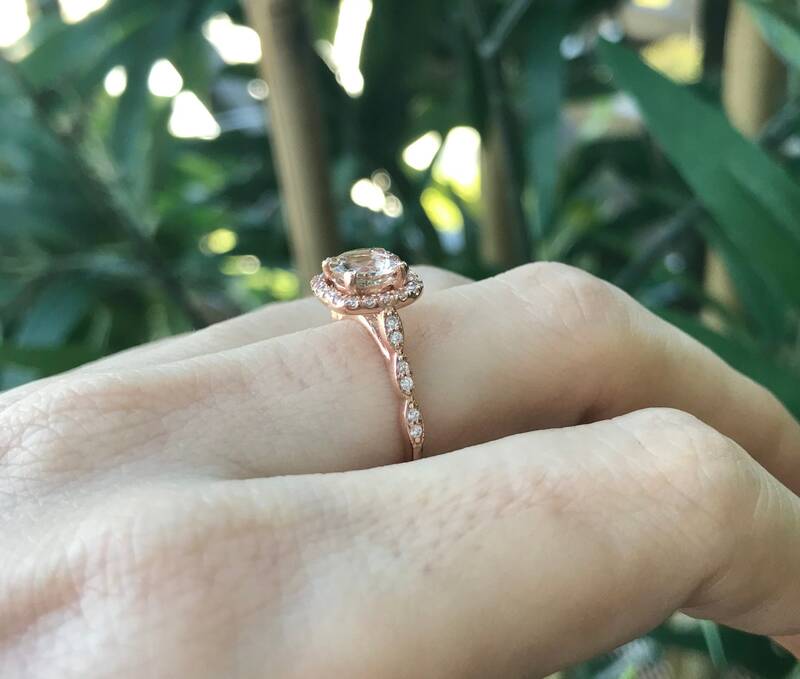 ——-> A matching band can be made for this ring. 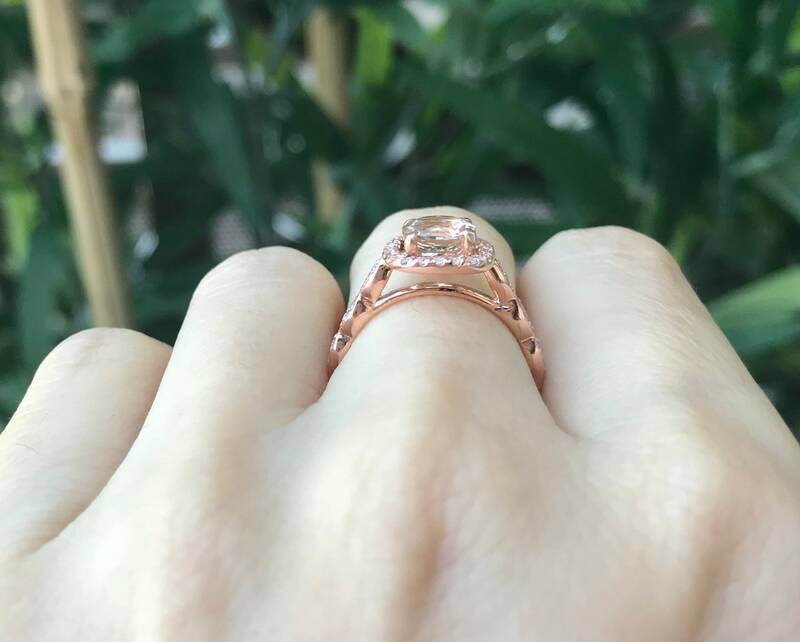 ——-> Can be customized in other gemstones, stone accent, metal or design.